Chitral is located in the North West Frontier Province of Pakistan, amidst the range of the Hindu Kush. 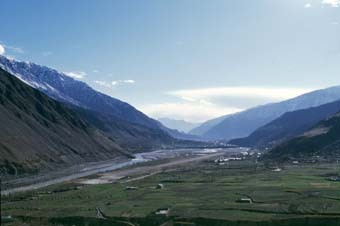 The total area of Chitral is 243,818 acres and the population is 222,241 (1988 ). The people of Chitral are called the Kho and their language is Khowar. Khowar belongs to the Dardic group of Indo-Aryan language and is spoken not only in Chitral but also in some other northern areas of Pakistan; some parts of Yasin , Gilgit, and Swat. Here, I would like to take you around Chitral, and introduce to you some of the places I love.